Parking lot drainage is something that does not considered carefully until after it is installed and begins causing issues. Usually, people turn to trench drains for their drainage needs. While they are effective drainage systems, they are not without their problems. Because of that, when you are planning a new parking lot, you may want to look at the potential issues with traditional drainage solutions and consider if it is worth it to find a better alternative. By choosing the right drainage system, you will ensure your parking lot lasts for years to come with minimal issues. 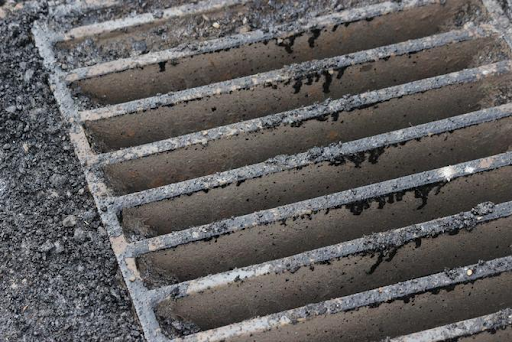 One of the defining features of a trench drain is the big, heavy, unattractive grate that covers it and prevents people and large objects from falling in. But, that does not stop smaller objects from falling in between the slots and getting lost. Parking lots are notorious for people digging in their pockets or bags to find their keys and can end up dropping things in their search if they are not careful. While items may just fall onto the asphalt, other times they may watch their valuables go between the slots of a parking lot grate, leaving them out of luck. There are tips and tricks on how to handle that sort of situation, but it is not always easy or plausible and can lead to some very frustrated people. Additionally, in order to clean a trench drain, workers have to lift the grate off. These grates are incredibly heavy and if workers are not careful, they can become injured, leading you to have to pay worker’s compensation fees. A final major issue with grates is that while they are heavy and seem durable, they cannot withstand large loads. If a load is too much for them to handle, they can break under pressure, requiring quick replacement to avoid any safety issues. They also break naturally over time, meaning you will have to have them replaced every few years. Traditional trench drain systems are not always easy to clean, especially when you take into account having to remove the grate in order to clean the trench itself. This turns what could have been a quick cleaning job into a much longer, more labor-intensive one. A job which, if not done well, can lead to particles being left behind that can lead to the growth of bacteria, which can create unpleasant odors and other potential issues. Another issue with trench drains is that since the grates have such wide openings, they can get clogged easily with large pieces of debris. But, you may not realize that it is clogged until you have issues with drainage. While it is relatively easy to fix and unclog, it is something you do not necessarily expect to happen and can require you to spend more money to make sure it is unclogged correctly in a way that will not damage the trench. While trench drains are not an ideal solution for parking lot drainage needs, they are not the only option available. There is another option to consider: the Slot Drain system. 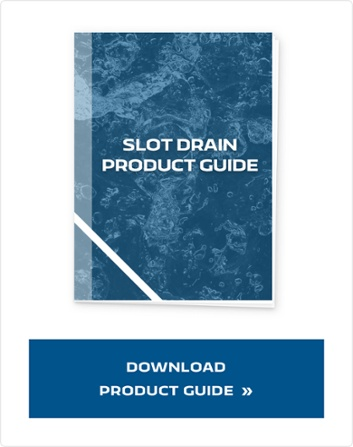 Slot Drain is a much newer and more modern drainage system that is similar to a trench drain in terms of basic design, but it offers a much slimmer and more inset appearance. What makes Slot Drain so unique is that, because it is so slim, there is no need for a grate and no need to worry about keys and other small objects falling into it. 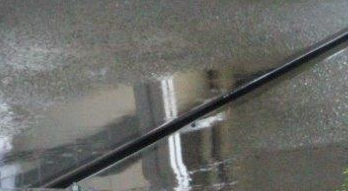 Not having a grate also means that the Slot Drain system will be much easier to clean. There are options for manually cleaning the channel with a brush and paddle, or installing a self-cleaning system that flushes through it to remove any debris. Either way, a Slot Drain takes very little time to clean. Because Slot Drain comes in materials like stainless steel, it is more resistant to bacteria and foul odors, so there is no need to worry about your parking lot smelling bad because the drain did not get cleaned properly. Slot Drain offers a beautiful and functional design without an outrageous cost. 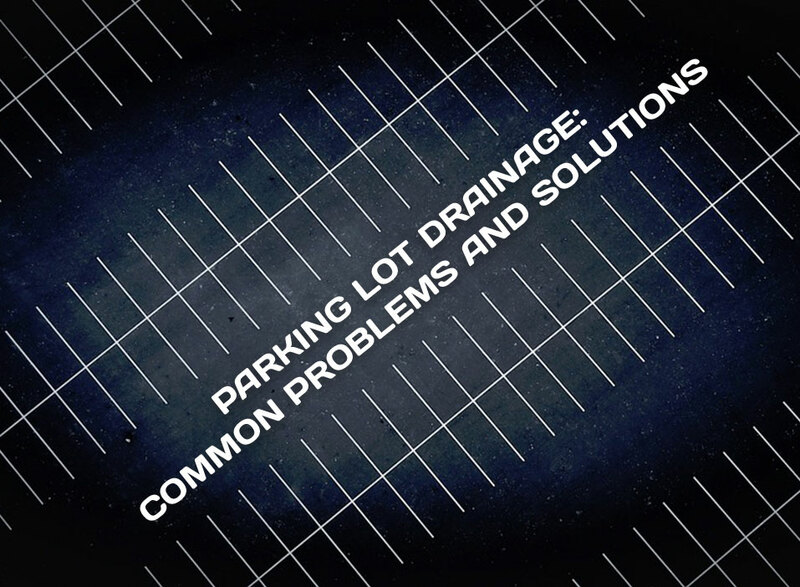 When it comes to parking lot drainage systems, do not assume your only option is to go with a troublesome trench drain. Slot Drain is a great, affordable alternative that is a powerhouse of a drain system and blends seamlessly anywhere you put it. So keep these parking lot drainage problems—and the solution to them all—in mind as you plan out your parking lot design.